One Tenor is Never Enough! 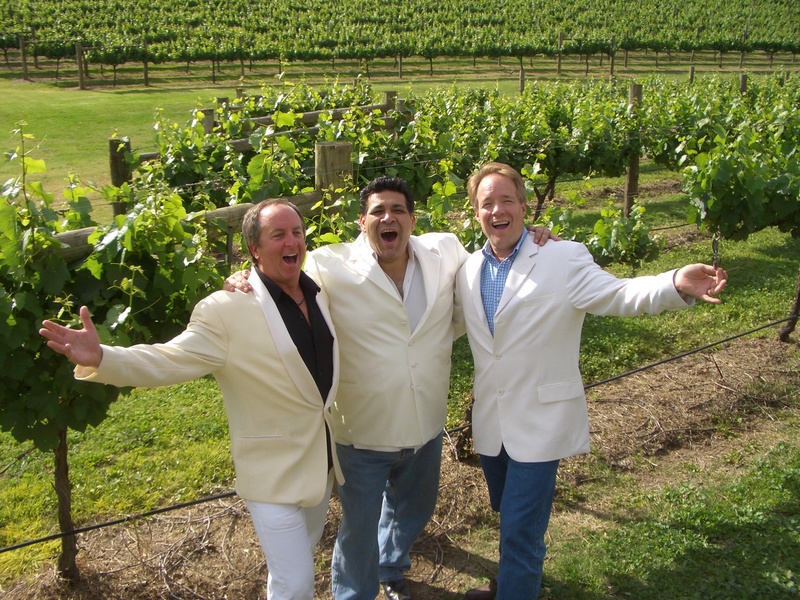 These three powerhouses have wowed audiences from Los Angeles to Slovenia and Cancun to Rome singing the world’s greatest hits! Along with the grand tenor arias from the world of opera, they sing International hits like Granada and Besame Mucho, Maria and Tonight. Their big finish to each concert is their signature Grand Finale featuring Broadway tunes, Spanish and Neopolitan songs ending each show with energy and inspiration! What makes these three men special is the fact that they have so much fun on stage and the audience clearly sees that!. 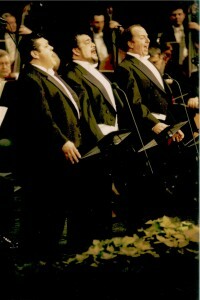 Whether competing for high notes in O Sole Mio or doing a Pavarotti imitation that brings down the house, they have personalities that put the audience at ease. The incomparable quality and versatility of these three singers makes the power and beauty of the music speak to the heart. The audience consistently leaps to their feet with bravos and standing ovations demanding encores of O Sole Mio and Nessun Dorma. 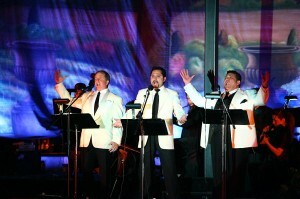 Depending on where in the world your event is and the availability of the tenors, there are actually five of us! 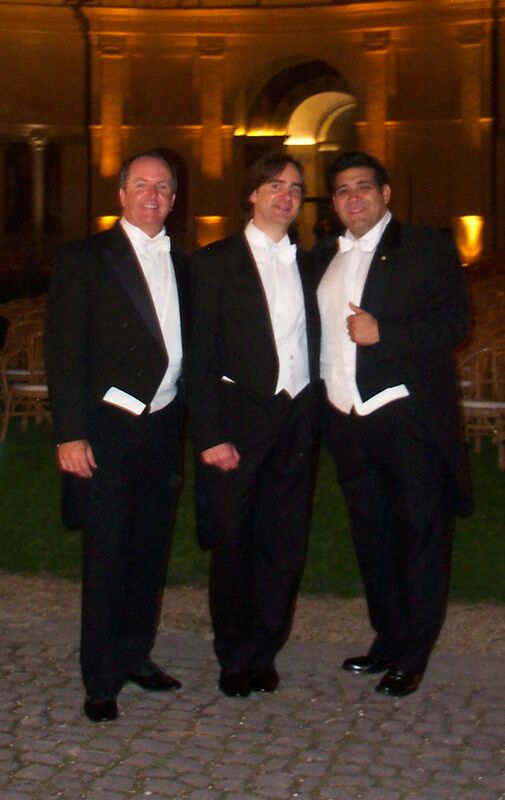 Jose Medina, Dennis McNeil, Eduardo Villa, Francesco Grollo, and Jorge Lopez Yanez have starred in the leading opera houses of the world: The Met and New York City Opera; Sidney, Los Angeles, and San Francisco; Berlin, Frankfurt Milan, Munich, and Stutgart, to name just a few. We have toured Australia, Slovenia, Austria, and the United States including Hawaii. This show is available with two pianos, 9 piece ensemble, or full orchestra.